Our mission at StopAfib.org is to ensure that those living with atrial fibrillation get the best possible treatment. This includes helping doctors and other healthcare professionals to understand what it is like to live with afib and how to help us manage, and even overcome, this chronic condition. Last fall, I reached out to the afib patient community through online forums to get input for a talk I was doing at a major medical conference. I asked, “What would you tell your healthcare providers about living with afib?” More than 1,000 of you came through with information to help build our message. At the 2017 American Heart Association Scientific Sessions in Anaheim, California, I had the privilege of being the Opening Keynote speaker at the Atrial Fibrillation Main Event session. It is rare for a non-celebrity patient to take the stage at an AHA Scientific Session. Subsequently, I wrote an article based on that talk, which was just published by the Journal of Cardiovascular Electrophysiology … a prestigious medical journal with global reach. 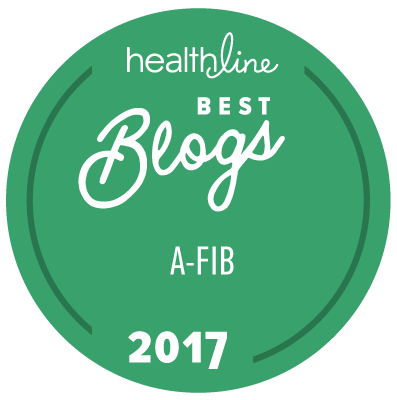 It's uncommon for a patient to have an article published in a peer-reviewed medical journal, and it wouldn't have been possible without the input of more than 1,000 of you who are living with afib. If you contributed, thank you! The article, The transformative power of understanding and trust in AF care: How doctors can provide better treatment by understanding the hearts – and minds – of AF patients, is intended to share what afib patients want our doctors to know. It includes five things that afib patients do not want to hear and five things that afib patients do want to hear to improve our care. The Journal of Cardiovascular Electrophysiology agreed to publish the article for free online for 12 months so anyone can access it, print it, and share it with their healthcare team. The publication of this article encourages positive communication between patients and doctors—and sends healthcare professionals an important message about the impact of communication. If you'd like to learn more about how to get the best possible care when it comes to your afib, consider coming to the annual Get in Rhythm. Stay in Rhythm.® Atrial Fibrillation Patient Conference August 3-5 in Dallas. Early Bird registration will open soon, so if you are not already receiving our newsletter, make sure to sign up for it at the top of this page so you will receive an invitation to attend when registration opens.